Clinic management software and services for healthcare, rehabilitation, and wellness professionals. Work smarter, increase assessments and spend more time with your patients. From software to services, our expert teams support your clinic completely. The only EMR that auto-generates complete forms and filters diagnostic codes. 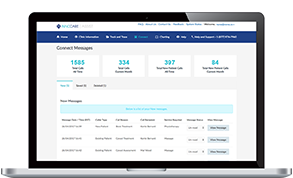 From scheduling to billing to extensive custom reporting, InnoCare has it all in one place. 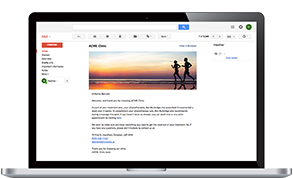 Customized email marketing campaigns created from your chart notes. Get new patients and fill your schedule by joining our preferred provider network. Get all the benefits of an in-house digital marketing agency dedicated to your clinic’s success. Engage and Charting+ work together to improve patient visit averages, prevent patient fall-off and build relationships. You have to know your clinic to grow your clinic. 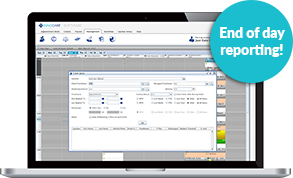 Get a complete overview of your financial transactions, patient attendance summaries, claim submissions and any errors with InnoCare Software’s End of Day report wizard. 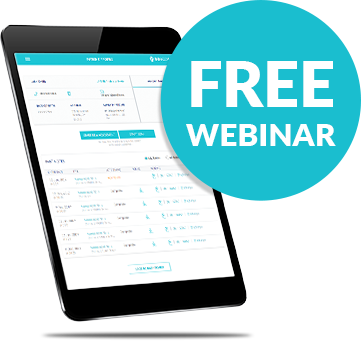 Get more patients and expand your clinic without added administrative burden. With Assist, you can focus on delivering the best patient experience, and we’ll take care of everything else. Growing your clinic has never been so easy. Electronic medical records (EMRs) are just one example of a smart, sustainable solution that could transform the way our system provides care and reduces wait times. As a healthcare technology company, we believe we have a significant role to play in ensuring complete and seamless patient care for Canadians. We advocate for interoperable healthcare technology that will improve both the patient and clinician experience. Our after-hours call answering service Connect answers the phone when you can’t. With Connect, your clinic can increase its availability to include early mornings, evenings, weekends and holidays, without the need for extra staff. Charting+ doesn’t just take your notes, it uses them to do work for you and anticipates your every need. It fills out your forms, filters your diagnostic codes, and pre-populates your SOAP notes. Charting+ has all the information you need all in one place and exactly where you need it. Clinics and Partners who love us!